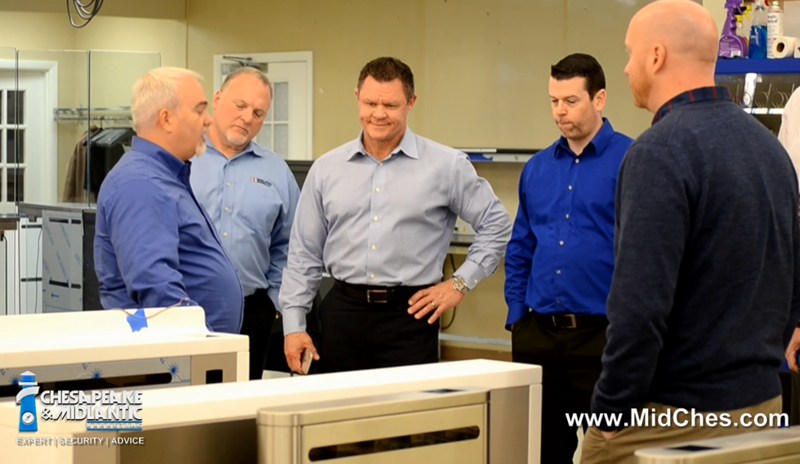 Our team prides itself on gaining a deeper knowledge than anyone else about the security solutions we recommend. New Hampshire — WMUR — featured Orion Entrance Control in their 'Granite State Made' series. WMUR showcased Orion’s custom, American-made, and technologically-advanced turnstiles. Autodesk Seek helps architects, consultants, designers, and engineers source product information to enhance building design process. According to a report from McGraw Hill Construction, BIM adoption in North America has grown from 17 to 70 percent based on multi-year trend analysis and user ratings from 2007-2012. Based on this and other research, Steve Caroselli, president of Orion Entrance Control, Inc., recognized that the migration to 3D CAD platforms that offer visualization, simulation and enhanced analytics is transforming the design process. Caroselli was determined that Orion ECI offer the cutting-edge tool on their products. “We are thrilled to work with Autodesk to have its Seek service offer the entire line of Orion’s entrance control products in Autodesk Revit and BIM models,” stated Orion Entrance Control, Inc. President, Steve Caroselli. Orion Entrance Control, Inc., has listed Orion’s entrance control lanes on Autodesk Seek including3D Building Information Modeling (BIM) models, 2D drawings, installation instructions, data sheets, and product specifications of Orion’s barrier products. Architects, engineers and integrators can go to seek.autodesk.com and find Orion’s CAD and BIM applications. For the architects and consultants, this means no downtime during the design phase, from needed specs or other information. Autodesk Seek is integrated into Autodesk AutoCAD and Autodesk Revit design platforms. Overall, Orion Entrance Control, Inc. not only empowers architects, consultants, and engineers by listing their access control barriers on Autodesk Seek, but has leveraged a competitive edge by offering such a value-added tool. About Orion Entrance Control, Inc.
Headquartered in New Hampshire, Orion Entrance Control, Inc. is a proud to be shipping projects globally. Orion ECI is an American manufacturer of architecturally-pleasing optical access control solutions for high-rise buildings, government centers, education campuses and corporate facilities. “Custom is standard” at Orion. Autodesk, AutoCAD, Revit and Seek are trademarks or registered trademarks of Autodesk, Inc. and/or its subsidiaries and/or affiliates, in the USA and/or other countries. All other brand names, product names, or trademarks belong to their respective holders. Contact our team to assist with project design.